Kish and I are up in Vermilion, Ohio for a family bridal shower. Because I’d rather thrust rusty screwdrivers under my fingernails than participate in a bridal shower, I’m spending a soggy Saturday knocking around the downtown area of Kish’s home town. Vermilion is a cool place. 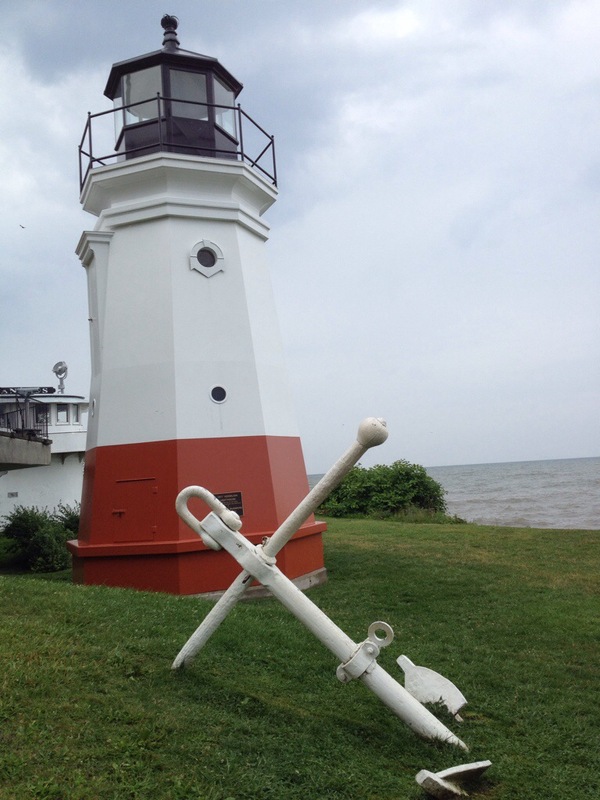 Located right on Lake Erie, about halfway between Cleveland and Toledo, it’s got a clear nautical orientation. The high school football team is the Sailors, there are boats pretty much everywhere you look, and there’s a well-stocked bait shop right in the center of town. It’s one of the best places in the world to get a Lake Erie perch dinner — and anyone who has had a fresh, hot, fried Lake Erie perch dinner knows that’s the best fish you can eat, period. Lake Erie is vast — it is a Great Lake, after all — and choppy on a day like today. A landlubber like me is endlessly fascinated by anchors, and masts, and rigging, and large mooring pylons that look massive enough to hold a freighter hard against a pier. They can be found in Vermilion in abundance. 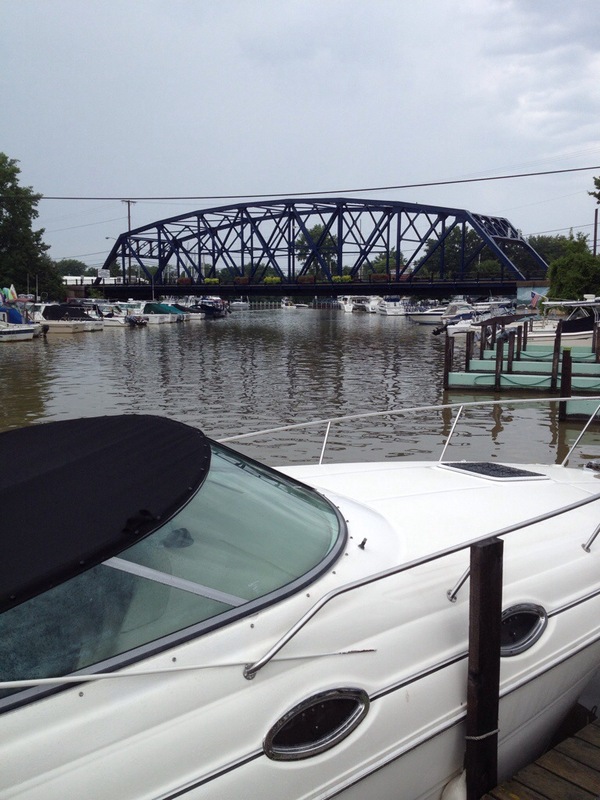 With its quaint buildings, white wooden frame houses by the lake, and the ever-present sound of water slapping against docks, Vermilion is like Ohio’s special little slice of New England. The Lake Champlain region of upstate New York feels, to me at least, more like New England than like the mid-Atlantic states. It is separated from rustic northern Vermont only by the blue waters of the lake, and the signs of a New England approach to life are everywhere evident. 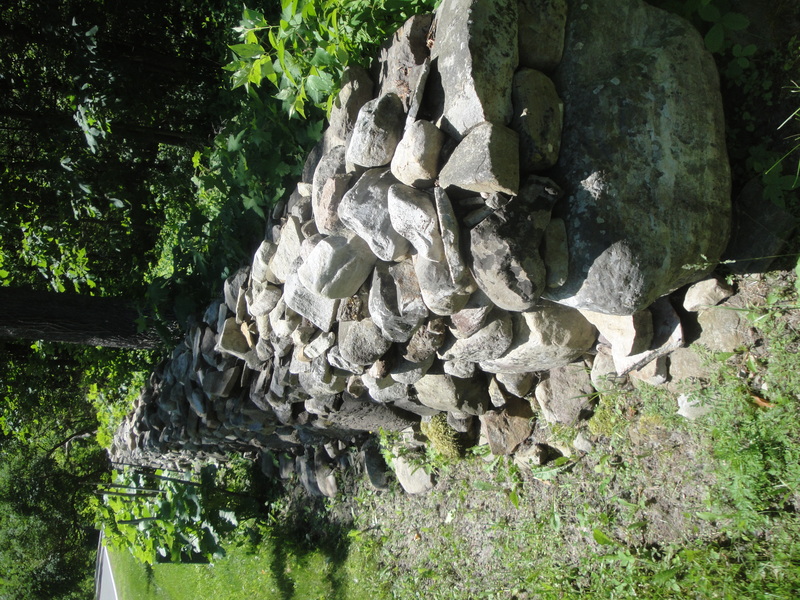 For example, you cannot take a walk on a country lane without seeing many stone walls, in various stages of repair and disrepair. 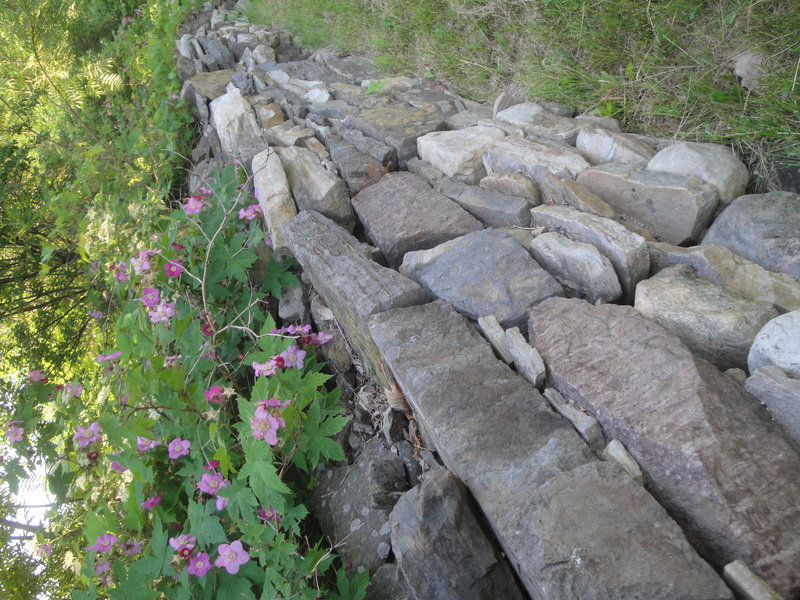 Some are clean and sharp-edged, some are rambling and covered with flowers, and others are vine-covered, weedy, and completely unattended, only a year or two away from full-scale collapse and a wholesale return to nature.